These Pop Up Frame Banners or Spring up Banners are ideal for Indoor or Outdoor Events. Made from the best lightweight, durable, weatherproof, polyester fabric and printed full colour both sides with vibrant colours using unique printing method. 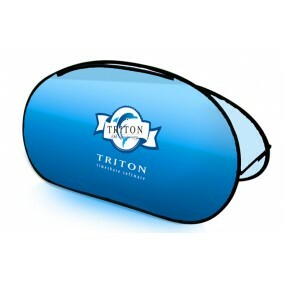 The Pop-up banners will ensure maximum exposure of your brand, logo or message with minimum fuss. 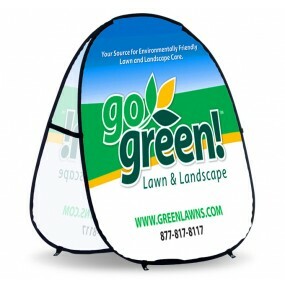 Supplied as a compact and complete system, the Pop up banner fits neatly into a nice black carry bag enabling light and easy transportation. Quick and easy to setup the Pop Up Banners are available in Horizontal or vertical and in variety of sizes. The spring up banner display can be pegged down in windy weather with loop tape sewn into the edges as standard with the tent pegs supplied. We have printed and delivered our Banners to clients and events in Sydney, Brisbane, Adelaide, Canberra, Perth, Melbourne. If you’ve been looking for a company that sells custom printed outdoor banners in Melbourne, you have come to the right place. For your next Golf or sporting event, corporate function, school event or festival we will be able to help you design a custom printed banner that can stand out from your competition!